You also have Curfew coming out. What is your character like on that show? I used to be a bit of a gangster in that character. Then I ended up in prison and marrying this young girl played by Rose Williams. Who’s actually in this now, in Medici [Caterina Sforza in season 3]! (laughs) So she’s my young, pregnant wife and it’s just about this mad car race, it’s mental. She’s having a baby and I’m trying to look after her, but I’m also slightly unhinged. So, she’s slightly unsure if she ever wants to be with me and bring a child into the world with me, and it kind of seesaws in that relationship between us. That’s one story, but there’s so many different stories with different threads running through it. We’ve already seen the teaser trailer for Curfew, but now we’ve got the full version – bigger, louder, longer and more insane than ever. Sean Bean’s London-set street racing drama already looks like a dozen movies in one series – with a plot involving a population afraid to leave their homes, a totalitarian government keeping them in, and an explosive race full of flaming monster trucks, machine guns and people dressed as chickens. Bean stars alongside Billy Zane, Miranda Richardson, Adrian Lester, Phoebe Fox and Adam Brody, but the new trailer poses as many questions as it answers. “They’re coming for me,” says a face at the start, “they were there from the beginning, and they’ll do anything to make sure no one knows”. Is he talking about the government that have set the night time curfew? Or is he talking about whatever it is that takes down Adrian Lester in the last shot? We still don't know what “they” are, but it’s clear that the stars of the show are ordinary people facing extraordinary circumstances – and up against more than just state control. We also hear more about the race itself, which seems to be the only chance people have of freedom. “Every year there’s just this stupid race where people die,” says Jessye Romeo (Stan Lee’s Lucky Man), clearly trying to reason with Lester and Andi Osho (Shazam!). So we know it’s annual, and we know it’s “stupid” – which is made pretty clear by the next few minutes of madcap action. Bean takes a souped-up racer, Phoebe Fox takes an ambulance, Billy Zane takes a VW campervan and everyone sets off to 'Crash' by The Primitives. The trailer shows us two very clear sides to Curfew – with all the crazy action following what looks like some pretty serious, meaty drama. The younger cast (Fox, Romeo, Ike Bennett, Malachi Kirby) seem to be just as important as the oldies, and Lester’s character’s family look like they might be the real heart of the show. More importantly though, Bean’s back and he looks like he’s having such a blast shooting/driving/growling. And it’s great to see Lester again, too, right before he hits the big screen in inevitable Oscar-botherer Mary Queen Of Scots. START YOUR ENGINES! #Curfew is a wild, wild ride so buckle up. Starring Sean Bean, @IkeBnntt, @Handlebrody, Phoebe Fox, Malachi Kirby, @AdrianLester, @andiosho, Miranda Richardson, @rose_williams_ and @BillyZane. Coming soon. Den Of Geek was pleased as punch to host a panel event at MCM London Comic Con last weekend, popping the trunk on Sky One’s upcoming street race drama Curfew. Taking to the main stage in front of a packed-out crowd, our host Jamie East interviewed cast members Phoebe Fox, Malachi Kirby, Rose Williams and Ike Bennett as well as director/co-executive producer Colm McCarthy and production designer Tom Sayer. Curfew, which will debut on Sky early next year, follows ordinary families in an extraordinary circumstance: their only way to escape a life of fear (and a government-mandated curfew) is to win an epic street race. The champs get to swan off to an island haven, while the chumps that lose are left to fend for themselves. Explaining the more fantastical elements of the show, director/executive producer Colm McCarthy opened up the panel by laying some groundwork. In the world of Curfew, he explained, dangerous creatures appeared after an infectious virus did the rounds in the UK. Describing the show as a “crazy mash-up”, McCarthy touched on the various different facets at play in Curfew. The omnipresent deadly creatures give Curfew something of a John Carpenter vibe, for instance. And the mention of such an iconic horror director is sure to have piqued the interest of movie fans in the audience. Given that McCarthy previously directed the hugely character-driven zombie movie The Girl With All The Gifts, he’s certainly well qualified to find the human element in amongst fantastical mayhem. 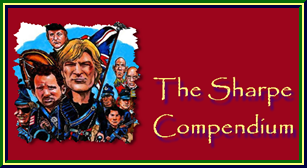 A clip was shown where Sean Bean’s character, The General, sizes up his competitors before the race begins. “If he dies in episode 9, I’m taking you down,” joked Jamie East afterwards. McCarthy retorted by pointing out that there are only eight episodes, so Game Of Thrones fans need not be worried. “I think Faith can calm down and placate The General when he reaches that boiling point,” Williams added, leaving us to wonder whether Bean will be going into full-blown rage mode at some stage. Here’s a fun fact: Ben Collins, who was the original Stig on Top Gear, did a lot of the stunt driving on Curfew. “He’s the best of the best,” Williams enthused, before revealing an interesting anecdote. Presumably to double for a female character, there were apparently moments where Collins had to wear a wig while driving. Not many shows boast a Stig in a wig, do they? “He’s a fantastic driver but he’s not very kind to gear boxes,” lamented production designer Tom Sayer, who had a team of mechanics working full-time to keep the show’s fleet of vehicles rolling. McCarthy explained that a lot of filming took place in Manchester and the north, where the necessary authorities were very accommodating to the show’s needs. And with this level of scale and stunts in the show, there was always a lot of work to be done. One character who isn’t particularly fond of Michael is Kaye, the paramedic played by Phoebe Fox who ends up an unwitting participant in the race. “It was never Kaye’s intention to take part”, Fox says, before firing dagger eyes at Kirby. Asked what Michael did to annoy Kaye and drag her into the race, Kirby offers this response: “It’s complicated.” Cue lots of laughter from the crowd, and some intrigue about how this tense character relationship will play out. Jamie East spotted a Radiohead lyric in one clip: “Just because you feel it doesn’t mean it’s there.” The line is used in the show while characters talk about the island, a creature-free safe haven that’s touted as the prize for the race’s winner. Not everyone is convinced that the island actually exists. According to McCarthy, this isn’t the only post-modern piece of writing in the show. Drawing a comparison to Black Mirror’s use of lyrics and song titles in dialogue, McCarthy urged viewers to keep an eye/ear peeled for familiar lines borrowed from other media. Do let us know if you spot any! In one clip of exclusive footage shown at the panel, we see all the competitors lining up to start the race. Billy Zane, in the words of Jamie East, appears to be “living his best life” in the clip. The cars are a big part of the show, can you tell us about some of the vehicles? We wanted to nod to iconic race cars, and cars that people know and love. So there’s a Dodge Challenger, like the one from Vanishing Point. There’s a school bus that matched the one in Speed. We’ve got Lotus series Jaguars and Ferraris. There’s a McLaren in the first episode. There’s a Dodge Viper, which is one of the fastest and most unpredictable and most dangerous road cars in the world. That must have been logistically challenging? Television nowadays is like making big movies, you know? That’s just how it is. People expect a certain level. If you’re going to be an action show, a show that has action, you’ve got to be able to deliver something that’s going to be stunning. I’ve got a 60-inch TV in my living room, and that’s not that weird now. That’s what people do. So you’ve got to be able to immerse people in a proper cinematic experience. But you also have to do the thing of telling a really engaging, emotional story that’s going to hook people in over that time. The opening of the race, we had 36 stunt drivers all in the one shot, driving manically. But then we also really wanted to be in the race with our racers. So Phoebe Fox [who plays Kaye], who is not… her action credentials prior to this were slim. We had Ben Collins, who was the original Stig, who was doing a lot of our precision driving. So she went and trained with Ben. She drives the ambulance, which is one of the hero vehicles, right in the midst of all of that stunt action with cars literally crashing into her vehicle, and driving down a ramp, and smashing through a crashed Ferrari. She’s doing all of that, and we’ve got a camera in her face while she’s doing it. So we wanted to immerse the audience properly into the experience. That went for all of them. You really need those moments where you’ve got Malachi Kirby [who plays Michael] really driving a McLaren through busy city streets at 110 miles an hour. So it’s got all these crazy stunts, but there’s a real sense of Britishness too? First and foremost, the first audience are going to be a British domestic audience. For them to be able to go, “Here’s this crazy, insane, John Carpenter-esque genre world, and there’s me and my family, or the family next door in the middle of it, with their chocolate Labrador, Brutus, in the back of their bashed-up Volvo, trying to survive...” And that makes it immediately relatable. But also, I think it gives it a uniqueness as a genre piece that will be fun for people. A STUNT for a new dystopian thriller starring Sean Bean has been filmed in the grounds of Arley Hall. 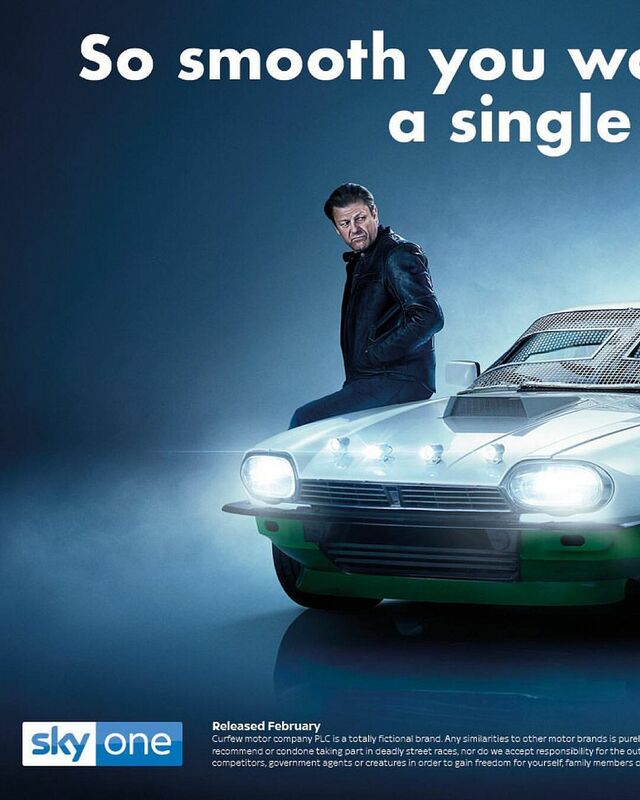 The street race drama, set to air in February, will see pimped-out cars race through the night from London to northernmost Scotland but one of the most dramatic scenes in the show was filmed much closer to home. Steve Hamilton, Arley’s general manager, said: “A big stunt was filmed here for the new series of Curfew starring Sean Bean. “We can’t say too much about it, but it will be an exciting moment in the programme. “It was a night shoot and took place in the middle of a wood on the estate. 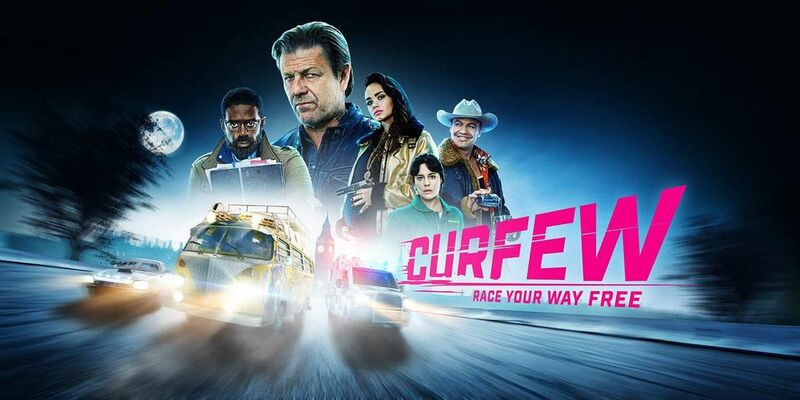 Curfew also stars Riviera’s Adrian Lester, Blue Iguana’s Phoebe Fox and Black Mirror’s Malachi Kirby who will all go head-to-head in the ultimate contest. Arley Hall is regularly used as a filming location and has recently welcomed back the cast of Peaky Blinders. There is even a link between both shows as Curfew director Colm McCarthy was also behind the camera for the second series of Peaky Blinders. Start your engines - there's a wild new street racing drama on the way. Sky One’s Curfew puts ordinary people in an extraordinary situation; racing the length of the UK in the world’s deadliest street race, all in a bid to win their freedom. Fast and Furious meets The Hunger Games? Curfew follows one long, life-changing night in which a group of ordinary people compete in the world’s deadliest street race, driving customized and weaponized cars as they attempt to win their freedom from a totalitarian government. The O.C.’s Adam Brody stars in the 8-part series alongside Sean Bean (Game of Thrones), Adrian Lester (Riviera), Phoebe Fox (Blue Iguana), Malachi Kirby (Roots), Billy Zane (Titanic) and Miranda Richardson (Churchill). 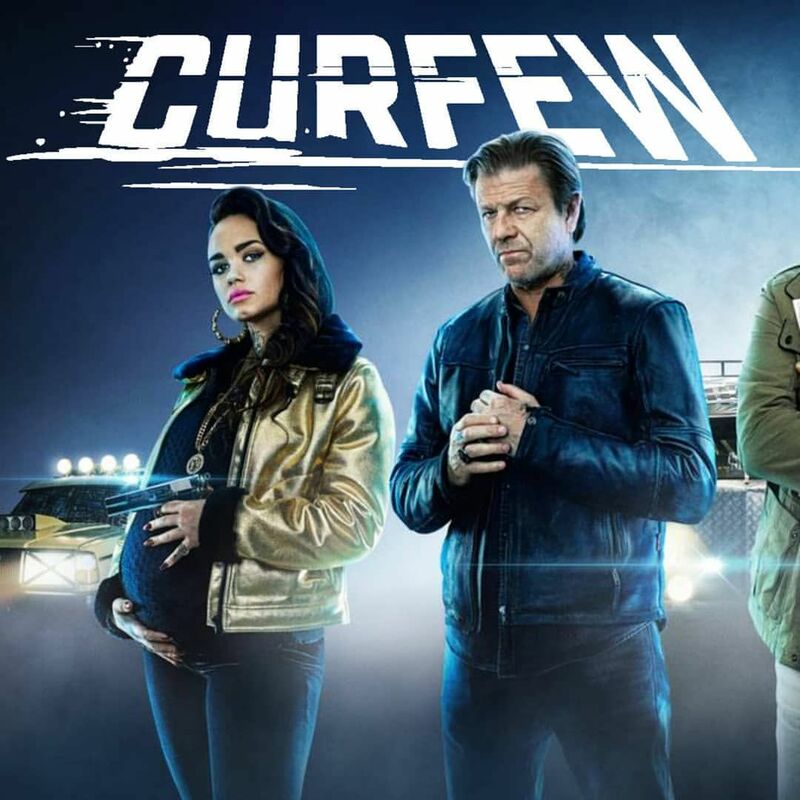 Written by Matthew Read (Pusher), Curfew will air on Charter Communications’ Spectrum Originals in the U.S, and is produced by Endemol Shine’s Tiger Aspect alongside upstart U.K. banner Moonage. Colm McCarthy, who helmed critically acclaimed post-apocalyptic zombie indie The Girl With All the Gifts, directs. We’ve already seen a pair of action-packed trailers for Curfew – and caught up with the cast and crew at MCM London Comic Con – so now it’s time to dive further into the Sky One’s upcoming street race drama with some exciting images from the series. Curfew, which will debut on Sky One in early 2019, follows ordinary people swept up in the world’s deadliest street race. The prize for the winner? Freedom on a paradise island away from the deadly viral outbreak that’s enforced the curfew. The ensemble cast is an impressive mix of famous faces (Sean Bean, Billy Zane, Miranda Richardson, Adrian Lester, Michael Biehn and Adam Brody) and rising Brit stars (Phoebe Fox, Malachi Kirby, Rose Williams and Ike Bennett) while The Girl With All The Gifts director Colm McCarthy heads up the show as director/co-executive producer on the first three episodes. And the Curfew race itself? That’s a once-a-year event in which entrants drive from dusk till dawn in a bid to win safe haven on the outbreak-free island. Every 12 months the race switches to a different location, and this year it’s the UK’s turn, with London as the starting point. Thanks for the updates. I'm disappointed that this is only going to air as a Spectrum Original in the USA. That means it will be exclusive to customers of the Spectrum cable company. It would get much wider distribution if was on a channel that's available from all cable companies. Sir Sean of Bean is back in February for Sky One’s supercharged Curfew alongside Adrian Lester, Phoebe Fox and Malachi Kirby. Get this: a street racing drama in which characters compete to win freedom from the totalitarian regime that rules their lives, no doubt channelling the best of Mad Max, Cannonball Run and every other petrol-scented action-fest of their ilk. Curfew, written by Matthew Read, began filming in summer 2018. Rest assured we will keep you very much posted. The drive of your life... #Curfew. @skyone. Coming soon. 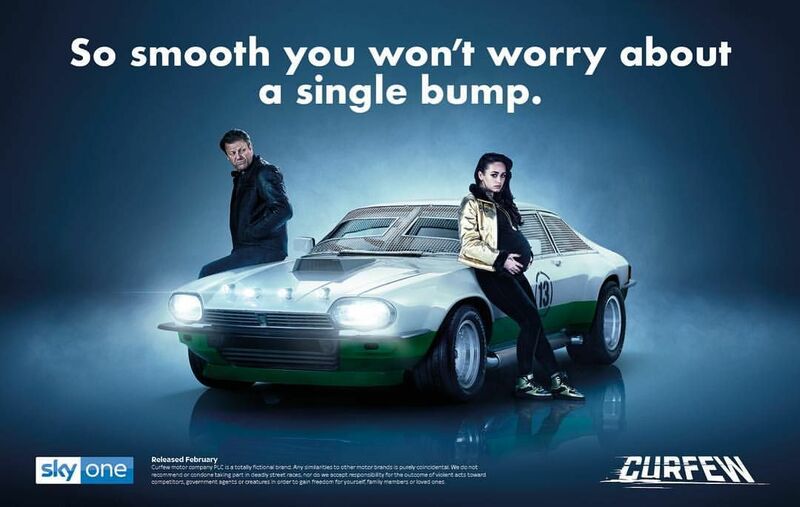 I like the "baby bump" advert.